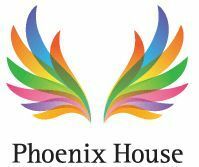 Become a member to get access to full contact information for Phoenix House - Career Academy including email and website. Phoenix House - Career Academy is not not guaranteed to be free but all listing are either free sliding scale, discounted, low cost, or Medicaid sponsored local treatment centers. Many are non profit drug and alcohol treatment facilities such as faith based organizations. The Phoenix House Career Academy is an adult business and trade school accredited by the NYS Department of Education. Recognized by VESID (Vocational and Educational Services for Individuals with Disabilities), a New York State agency, the Career Academy is an innovative model of accelerated treatment with a fully operational vocational school on site; it is considered one of Brooklyn’s most successful vocational programs. The Career Academy guides clients as they work toward their personal and professional goals. Residents live, learn, and work in an environment specifically tailored to meet their needs. Our specialized programs provide training in such high-demand fields as: computer technology, building maintenance and repairs, and culinary arts. Our Beyoncé Cosmetology Center, founded by pop superstar Beyoncé Knowles and her mother, Miss Tina Knowles, offers a training course in cosmetology. In addition to these vocational tracks, we also offer GED courses, job placement assistance, and the AmeriCorps Volunteer Program. We are committed to giving our clients the education and job skills necessary to excel in the workplace, as well as the strength and renewed self-esteem to live successful, drug-free lives. Most major insurance plans and all major credit cards are accepted.